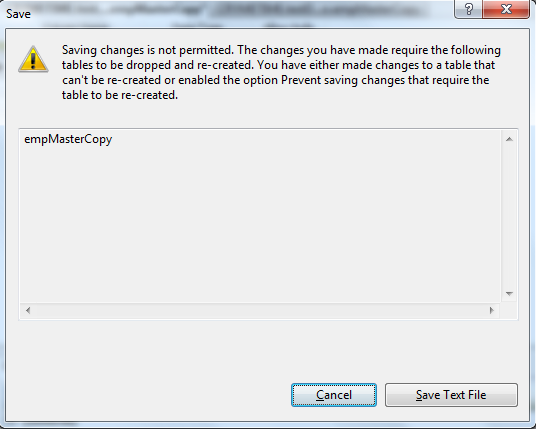 Modify the design of the table that requires the table to be re-created. It means that you have to manually drop & create the table. However, that’s merely a validation put up by the Sql Server as it can be done without manually dropping & creating the table. See the steps below. Uncheck the option highlighted in the image below. 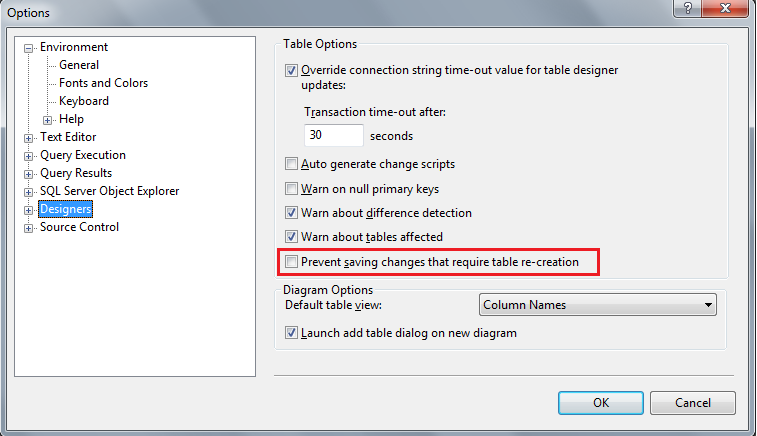 Now the Sql Server will re-create the table for you whenever it’s required.